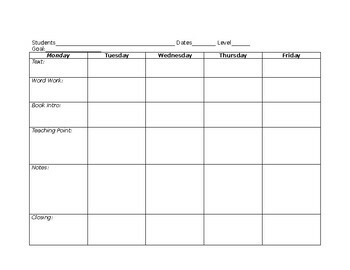 This is a very simple template for weekly Guided Reading lesson plans. I use this to give myself a glance at my plans for a particular group across the entire week. I hope you find it helpful!